The Alavian Dome is the most important Islamic monument in Hamadan built in 1163 AD. 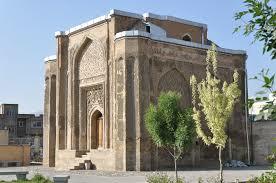 It is a square building of late Seljuk period with a masterly stucco interior. This building has a crypt containing the tombs of two members of the Alavi family.